If you have your mind set on a Honda product but feel that the CR-V is just a little too plain and homely, you should check out the Acura RDX, which gets more exciting styling and a turbocharged engine, for just slightly more than a loaded CR-V. The 2010 Honda CR-V is a bit homely, but it fits right in for those placing the priority on frugality, safety, and interior space. 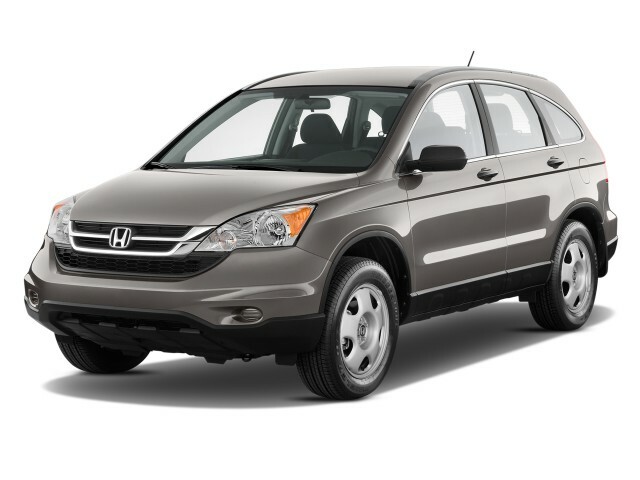 To properly review the 2010 Honda CR-V, the vehicle experts at TheCarConnection.com have first driven and used this utility vehicle the way that it would in the real world, then picked out the best tips and observations from around the Web. The Honda CR-V was last significantly redesigned for 2007; at that time it grew slightly and was given an much more space-efficient interior. While some rivals cram three rows of seating into a vehicle this size, the 2010 CR-V sticks with two, and seating for five. Depending on how you see it, the exterior of the 2010 Honda CR-V is understatedly attractive, plain, or a little weird. The rounded overall shape with a mix of sheetmetal creases and arcs looks well proportioned from some angled but awkward from others. Inside, the CR-V strikes a better design balance and should appeal to nearly everyone. The upright instrument panel is a bit too upright and butch-SUV in styling, but it uses some pleasant contrasting materials and bright accents. Despite the tall driving perch, the CR-V drives pretty much like an economical, comfort-oriented sedan; handling feels stable but not very sporty. An improved all-wheel-drive system is available, and it works with the stability control system to send power to the wheels where it's needed most. Honda has stuck with a single powertrain for the CR-V—a 2.4-liter four-cylinder making 166 horsepower, with a five-speed automatic transmission—even though many other models in its class offer an optional V-6. Given shoppers’ preference toward smaller engines over the past year or two, that looks like a smart decision. The engine does just fine in the CR-V, feeling surprisingly smooth and refined, with enough power for all but high-speed passing with a heavy load. Our only complaint is that the transmission is hesitant to downshift, resulting in lost momentum on steep grades. Fuel economy is impressive in the CR-V, with EPA highway estimates ranging up to 27 mpg. The interior of the 2010 Honda CR-V is very spacious and can accommodate five adults rather comfortably (only four if you have broad-shouldered passengers in the backseat). The shifter is located at the bottom of the dash, in a layout more like that used for some minivans, but that allows more open space. The backseat itself is split into two sections and folds down to a completely flat cargo floor. Altogether, it feels larger and usable than some other vehicles in this class because of the rather low cargo floor (making it easier to load) combined with the tall roof. The hatch opens upward, rather than to the side. Safety features are a priority in a family-friendly vehicle like the CR-V, and it has all the features that are now expected, including electronic stability control, anti-lock braking, front side airbags, and side curtain airbags as standard. But the Honda CR-V is a safety superstar—quite possibly the safest vehicle in its class—because of its excellent ratings in both major crash-test programs. It gets five-star ratings for frontal and side impact in the federal government's crash tests, as well as straight "good" ratings—the best—from the IIHS. The CR-V has also been an IIHS Top Safety Pick. The exterior styling of the 2010 Honda CR-V will be off-putting for some shoppers, but the interior is more likeable. 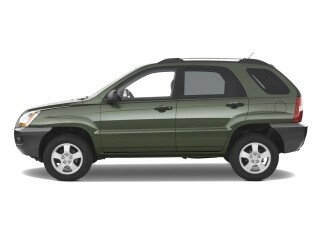 Depending on how you see it, the exterior of the 2010 Honda CR-V is understatedly attractive, plain, or a little weird. The rounded overall shape with a mix of sheetmetal creases and arcs looks well proportioned from some angled but awkward from others. On the upside, MotherProof reports being lured in by “graceful curved lines and subtle hardware” Cars.com also likes how the "subtle creases on the bodyside and around the wheel wells also help the CR-V avoid the slab-sided look of early-generation SUVs." Car and Driver says the new CR-V's "styling may not please everyone." And to a number of critics, the CR-V just doesn’t look appealing. 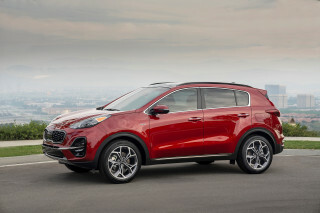 Motor Trend points out, "It's more jelly-bean-shaped, far more emotional in its details.” The reviewer points to headlights that “flare-back like an extreme facelift,” and notes how the “pursed-mouth grille is now slightly opened, as if it might snap at you." 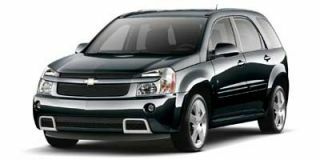 Cars.com also notices that it "has an underbite," though "from every other angle the CR-V's design shines." Edmunds calls it "sort of weird-looking," and Kelley Blue Book agrees, noting that the side profile is “dramatically different than past CR-Vs."
Inside, the CR-V strikes a better design balance and should appeal to nearly everyone. The upright instrument panel is a bit too upright and butch-SUV in styling, but it uses some pleasant contrasting materials and bright accents. For the most part, reviewers like what they see. Cars.com reports that "Honda has really found its stride with interiors lately," and the "dash is perfectly executed," noting that the CR-V "opts for a more straightforward side-by-side setup with an informative digital display wedged between the speedometer and tachometer." Edmunds' assesses that "the best attribute of the CR-V is its attractive yet practical cabin design." Motor Trend is not at all in love, however, saying, "the gauges and controls would make sense to somebody raised by wolves and suddenly plopped behind the wheel." Don’t expect much excitement out of the driving experience; the 2010 Honda CR-V performs quite well—if a bit sluggishly. Honda has stuck with a single powertrain for the CR-V—a 2.4-liter four-cylinder making 166 horsepower, with a five-speed automatic transmission—even though many other models in its class offer an optional V-6. Apparently, whether or not you find the CR-V’s four-cylinder engine peppy enough depends on what you’re expecting. All of the enthusiast magazines mention that the CR-V is lacking power, while general-interest publications seemed to think it was just fine. Motor Trend warns, "On the road, the CR-V isn't powerful—its 166 hp and 9.2-second 0-to-60-mph time (produced by this front-drive version)—will keep you happily abreast of traffic, but will also probably dissuade you from any particularly daring maneuvers." Edmunds cautions that the engine and transmission “can be overwhelmed by hilly stretches of highway," especially warning, "highway passing can be an adventure." Car and Driver sums it up in three words: "forget drag racing." 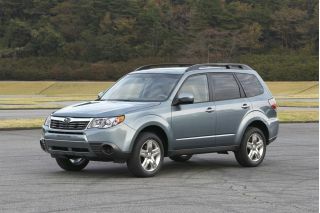 MotherProof obviously has different expectations and thinks that the Honda CR-V's engine "perky and surprisingly quick." ConsumerGuide thinks that the CR-V’s powertrain is just fine, saying that "acceleration is adequate around town and in highway passing." There’s no manual transmission offered on the 2010 Honda CR-V; a five-speed automatic does the shifting—quite smoothly in TheCarConnection.com’s experience but with some hesitation on steep grades. Motor Trend likes how the transmission has five speeds rather than four, but observes, "For some reason you can't manually select fourth. But this is probably more a curiosity than a nuisance." Kelley Blue Book reports that the lack of a manual transmission "may be lamented by mileage maximizers, but Honda says that the demand for stick-shift CR-Vs among buyers is low." An improved all-wheel-drive system is available, and it works with the stability control system to send power to the wheels where it's needed most. Edmunds explains that the system "only apportions power to the rear wheels when front slippage occurs." Fuel economy is certainly a priority for most shoppers who look at the 2010 CR-V, and in this respect it’s good but not great, at 20 mpg city, 27 highway with front-wheel drive. Some reviewers thought that the small engine should be more frugal. 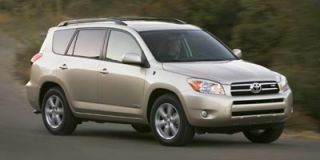 MotherProof in particular was surprised with the figure it saw; , with the driver reporting just a 16-mpg average in “two weeks of mostly suburban driving." Despite the tall seating position, the CR-V drives pretty much like an economical, comfort-oriented sedan; handling feels stable but not very sporty. 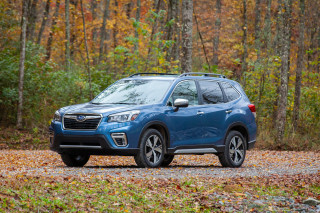 Car and Driver likes the "good driving manners," and Cars.com points out it "reacts with an intuitive feel that's rare in non-luxury cars" ConsumerGuide notes that the CR-V feels "carlike on all surfaces," and Edmunds notes that it feels more agile than most compact crossover vehicles, “light on its feet, with well-weighted steering that provides excellent feedback." ConsumerGuide comments that "body lean during fast turns is kept in check." Only Motor Trend has something critical to say about the handling, noting "a tendency to periodically 'tramline' on certain surfaces." Keeping the price down was clearly a motivator in designing the 2010 Honda CR-V’s interior, but next to all but luxury vehicles it probably won’t disappoint. The interior of the 2010 Honda CR-V is very spacious and can accommodate five adults rather comfortably, agree a number of sources. The Auto Channel reports that "the third-generation structure is a little wider...that translates to welcome extra hip room for everyone." 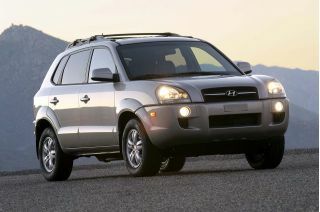 ConsumerGuide says, "Space for legs and knees is plentiful even with the front seats far aft, [and] headroom is ample." Motor Trend observes, "as with all Hondas, there's plenty of front legroom available." Though there’s no third-row seat, the interior of the 2010 Honda CR-V is among the more well-designed in its class. The shifter is located at the bottom of the dash, in a layout more like that used for some minivans, but that allows more open space. The backseat itself is split into two sections and folds down to a completely flat cargo floor. Altogether, it feels larger and usable than some other vehicles in this class because of the rather low cargo floor (making it easier to load) combined with the tall roof. Car and Driver notes that the CR-V has a large, useful cargo area when the reclining second-row seats are folded. Edmunds likes how the "the 60/40-split rear seat has reclining seatbacks and adjusts fore and aft" and points out a family-friendly feature: "the wide-opening rear doors and lightweight rear liftgate make it simple to load infants and their strollers." But Cars.com is not a fan of the folding mechanism: "There are two straps to pull, and neither felt that sturdy." Cargo space itself is excellent. Cars.com points to the boast-worthy 72.9 cubic feet of space with the seatbacks forward, calculating that it’s “up from 33.5 cubic feet and 72 cubic feet, respectively, in the outgoing model." The CR-V offers "generous cargo space even with the rear seat up," says ConsumerGuide. Generally, reviewers weren’t tremendously impressed with the materials in the CR-V, but it’s a bit redeemed by a good design. Motor Trend says that the interior is “a case study of the level of artistry that can be achieved with lowly hard plastics." In an “overall splendid dash,” Cars.com reports just one gripe: "A trio of center-mounted A/C knobs felt a bit cheap when turning." Materials aside, the controls and displays are excellent, according to Kelley Blue Book: "the CR-V's dual-dial dash is an easy read, controls and switchgear are all within arm's reach and simple to operate." The CR-V’s cabin is also a refined place, relative to other vehicles in its class, but don’t expect it to be luxury-car quiet. "Some wind rush is noticeable around exterior mirrors," notes Consumer Guide. Edmunds contends that "the cabin is well-insulated from the road noise that plagued past CR-Vs."
The 2010 Honda CR-V is a safety superstar, with top crash-test results and all the accident-avoidance features you’d expect in this price class. But the Honda CR-V is a safety superstar—quite possibly the safest vehicle in its class—because of its excellent ratings in both major crash-test programs. It gets five-star ratings for frontal and side impact in the federal government's crash tests, as well as straight "good" ratings—the best—from the IIHS. The CR-V has also been an IIHS Top Safety Pick. Safety features are a priority in a family-friendly vehicle like the CR-V, and it also has all the features that are now expected, including electronic stability control, anti-lock braking, front side airbags, and side curtain airbags as standard. MotherProof notes that in the Honda CR-V, "the seating position is high—not too high, but just high enough to offer a new perspective on the road ahead." This means that visibility is not much of a problem. Kelley Blue Book explains that "visibility is good in all directions, even to the rear," in a class of vehicles in which rearward vision is often obscured. If you want an even better view when you’re parking or backing up, MotherProof especially likes the rearview camera system that’s available with the navigation system. There’s nothing particularly noteworthy here. But Bluetooth is missing, and you’ll have to step up to the expensive 2010 Honda CR-V EX-L to get a nav system. As in most Hondas, the top options are only offered on the most expensive, luxurious trims. If you can live with a somewhat basic features list, you’ll find the CR-V a bargain. That said, the base LX and mid-grade EX are quite well-equipped, but the top-of-the-line EX-L adds many of the most desirable features like dual-zone climate control, a power driver's seat, and a premium audio system. The navigation system with backup camera is optional, only on the EX-L. Edmunds notes that it also includes a slot for digital cards for music playback. ConsumerGuide shows some enthusiasm for the power driver’s seat that’s on offer (some other models in this class don’t offer it), “even if it's only on the top-line EX-L model." A few of the CR-V’s features found some criticism. MotherProof reports that the air-conditioning system "couldn't fully combat a Southern California heat wave, especially considering there are no vents in back to cool off the little ones." Cars.com notes "the moonroof in the LX model seemed small, even for a compact vehicle."